These posts take us a little out of our area of expertise (we’re test experts, not admissions consultants) but they provide general answers to questions we hear quite a lot. For answers specific to your applications you might turn to the admissions staff at your target schools, to their representatives at admissions fairs, or to an admissions consultant. Part 3: For you, lower may still be fine. You may distinguish yourself in other ways. At the same time that I had that conversation with the admissions guy from East Coast, I was tutoring a student—let’s call him Aarav—who had been denied admission to that very school, his first-choice program. (Maybe that’s why I took the trouble to initiate a conversation with the school’s representative? I don’t remember.) Although they had rejected Aarav’s application, East Coast gave him useful feedback and encouraged him to apply the following year once he’d addressed the deficiencies they saw in his application. The three deficiencies they identified were (1) Aarav’s dearth of experience managing others, (2) his apparent lack of any life outside work, (3) his GMAT scores. (1) was surprising, given that Aarav’s job title was something like Engineering Manager, so perhaps he’d done a poor job characterizing his work, or perhaps East Coast was more impressed by applicants who had line authority over other employees than by applicants who coordinated the contributions of their peers. Probably, though, they just wanted to see more growth in Aarav’s responsibilities. (2) was also surprising, because I’d seen many students who were at least as narrowly job-focused as Aarav gain admission to high-ranked programs. I wondered if what (2) really meant was that life outside of work could give Aarav an opportunity demonstrate the leadership he hadn’t shown at work. 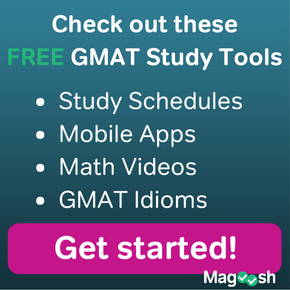 Unfortunately, Aarav was already burned out on GMAT study, and in fact resented that he had to “waste more time” on it. I suggested that we work just on performance factors rather than on content. If he could train to perform as well for an entire test as he could for thirty minutes at a time, he’d be right around the average for East Coast. They clearly liked him, and he had other work to do on his other deficiencies. 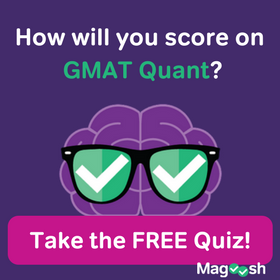 In the end, Aarav gained forty points on the GMAT to put himself just below the school’s average and then promptly stopped thinking about the test. At work, he asked for responsibility over other employees and was given a short-term assignment as head of a team coordinating the launch of an improved product. In other words, pretty much the same work he’d been doing for years, but with temporary line authority over a couple of people. Perhaps most significantly, Aarav started and ran a public-speaking program at a local high school. It sounded a little strange to me, but Aarav made a good case: he was a middle-class Indian guy working with poor American students; he was a socially anxious techie mastering and helping others to master public speaking; he was doing work that really mattered rather than padding an application. He was able to write about that program in a way that made it clear that he was authentic, conscientious, and willing to take uncomfortable risks. So, Aarav decided that it suited him better to distinguish himself in other ways than to be “just another Indian tech guy” with exceptional GMAT scores. He was accepted to East Coast the following year. If you’ve been provisionally admitted, the program wants to enroll you. I’ve worked with a number of students who had been accepted provisionally to top-ten programs. Sometimes these students were told to improve their GMAT scores, or to improve just their quant scores, or to demonstrate quantitative proficiency in some way. When students are given latitude to demonstrate quantitative proficiency in any of a number of ways, I usually recommend whatever method would actually improve rather than merely demonstrate their math skills. One top program sometimes gives provisionally admitted applicant a choice of improving their GMAT quant score, passing a very different math exam administered by the program, or passing a Business Math class offered by the school’s extension program. I pretty much always recommend the last. 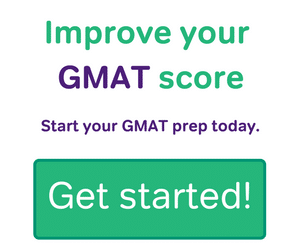 When students are told to improve their GMAT scores we improve their GMAT scores. If they’re given a firm target, that’s what we work toward, but students are often not given a firm target. I’ve had three different students who had been provisionally accepted by the same program on the edge of most top-ten rankings, all of whom were asked to improve their GMAT quant scores and none of whom was given a target score. All three were admitted after retaking the test, including one students whose quant score went up just three points and whose overall GMAT score was still about forty points below the program’s average. I suspect that the provisional acceptance in those cases was mostly a way encourage higher scores in order to protect the school’s rankings. 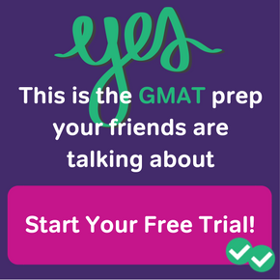 Take-away: You should do what the program asks of you, but unless they tell you so you may not need to match their typical GMAT scores. Not everyone wants to go to a top-twenty program. Finally, if your first-choice school isn’t super-competitive you may not need super-high GMAT scores. I’ve had many students in just that situation, especially students who intended to stay with their current employer while enrolled in a part-time program. For instance, a student I’ll call Chad had enjoyed his time as an undergraduate at local Jesuit university and was working for a small construction firm with family ties to the same university. When his employer asked him to pursue an MBA, he was happy to go back to his alma mater. He did classroom prep rather than tutoring, and got a 670 on his first attempt at the actual exam. He could well have added fifty or more points to that, but there really wasn’t any reason to. Given the rest of his application, he would have been admitted to his first-choice program with a score much lower than 670. One last example, and for this one I’ll use the school’s real name but change some of the student’s details: A few years back I had a student—let’s call her Helen—who was very bright and hardworking, but not a great candidate for a top program. She had a middling undergraduate GPA, she had very low test scores, and though she was five years out of school she’d spent two of those years doing retail sales before being hired as a buyer and distinguishing herself in that role. Helen believed that she’d be a much better MBA student than she had been an undergraduate, because she was more mature certainly, but mostly because she liked what she knew of the case-study method and she enjoyed collaborating. She wanted an education, primarily, and a credential only secondarily. She eventually enrolled at UCSD’s Rady School of Management, just before that very young program was eligible to apply for accreditation. She judged that Rady was a much better school—especially for her needs—than many better-established programs, that she would be admitted there despite her grades and test scores because Rady was still new and unaccredited, and that the value of her credential would grow over time as Rady was accredited and grew in status. It now looks like a very shrewd judgment, as Rady was accredited before she completed her degree and has gained in stature ever since.